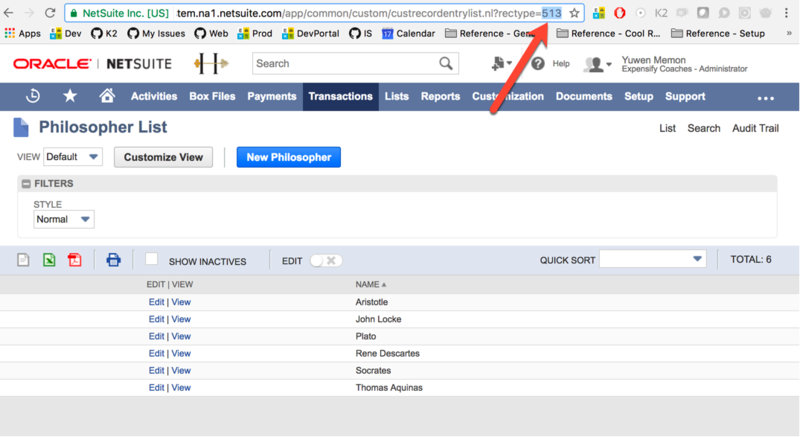 The Coding tab is where NetSuite information is configured for Expensify. 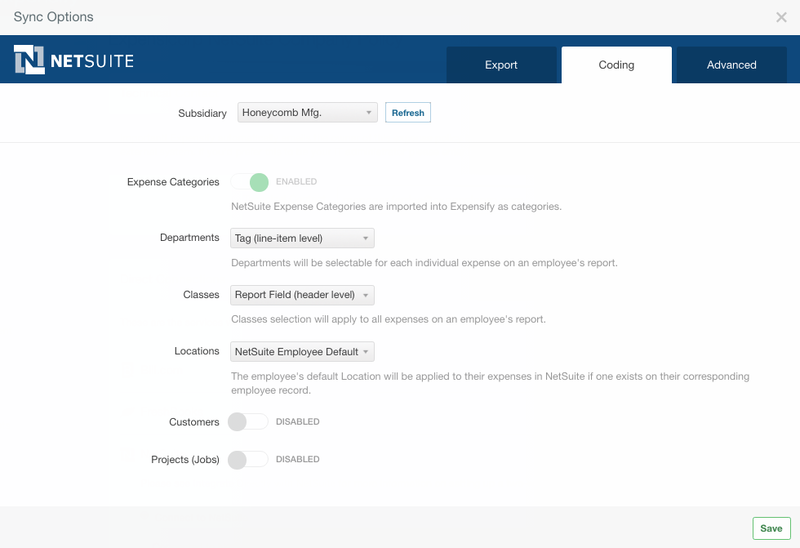 This will allow employees to code expenses and reports accurately. 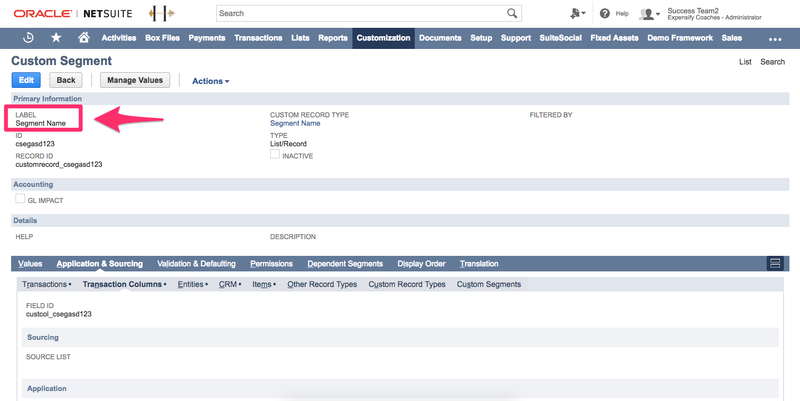 Expensify's integration with NetSuite automatically imports NetSuite Expense Categories as Categories in Expensify. To set Category Rules (e.g. receipt requirements or comments) go to the categories page in the policy. Expenses can be automatically categorized to expense categories using Auto-Categorization. Please note that each expense has to have a category selected in order to export to NetSuite. The selected category has to be imported in from NetSuite and cannot be manually created within the policy settings. The NetSuite integration allows for NetSuite Customers, Projects, Departments, Classes and/or Locations to be set up as line-item expense classifications, which are called "Tags" in Expensify. 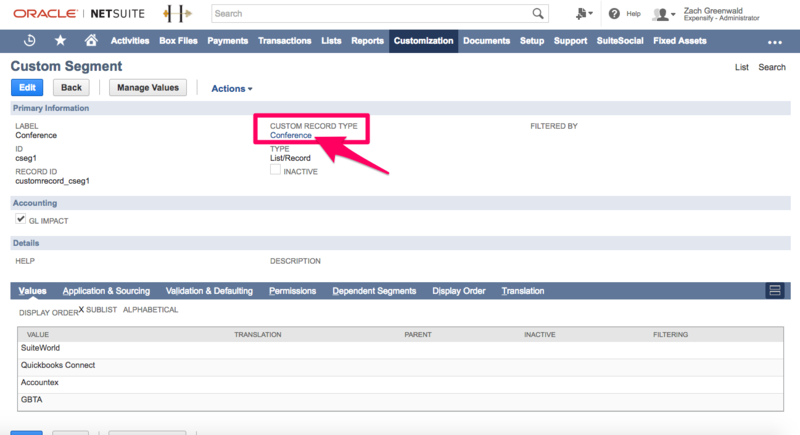 If you have defaults on the employee record in NetSuite, we will create a rule that automatically applies the default to the tag on all expenses created for that employee. These can be edited if a different tag needs to be applied. The NetSuite integration allows for NetSuite Customers, Projects, Departments, Classes and/or Locations to be set up as report-level classifications, which are called "Report Fields" in Expensify. 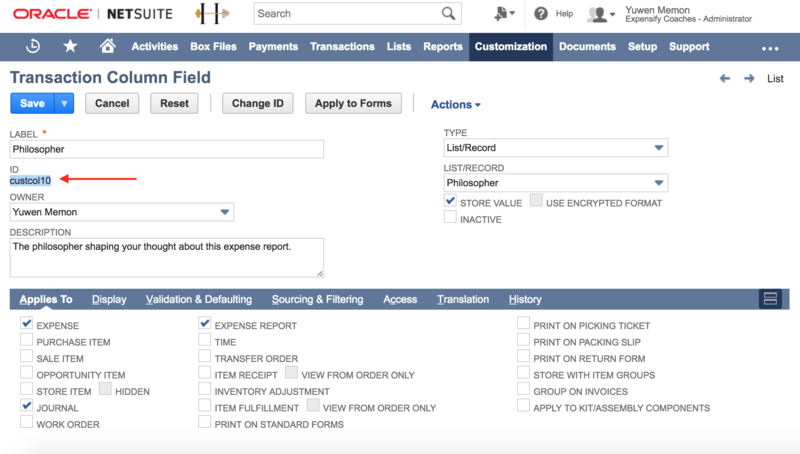 The NetSuite integration allows Departments, Classes and/or Locations to be set according to the NetSuite Employee Default for expenses exported as both Expense Reports and Journal Entries. These fields will need to be set in the employee(s) record(s) in NetSuite for them to be successfully applied upon export to NetSuite. Note: the employee default setting cannot be used with a vendor bill export unless you have both a vendor and an employee set up for the user under the same email address and subsidiary. Our tax tracking feature allows you to apply a tax rate and tax amount to each expense. Only Tax Groups can be imported from NetSuite. If you are not currently using these, you will first need to set them up in NetSuite under Setup > Accounting > Tax Groups. Once added go to the NetSuite connection configuration page, Settings > Policies > Group > [Policy Name] > Connection > NetSuite > Coding, refresh the subsidiary list, and the Tax option will appear. After syncing, go to Settings > Policies > Group > [Policy Name] > Tax to see the tax groups imported from NetSuite. Use the enable/disable button to choose which taxes to make available to your employees. Select a default tax to apply to the policy. This will automatically apply to all new expenses. For more details on Tax tracking see our help page. For specific Tax troubleshooting, check out the guide here. Note: You must be logged in as an administrator in NetSuite in order to locate the required fields. 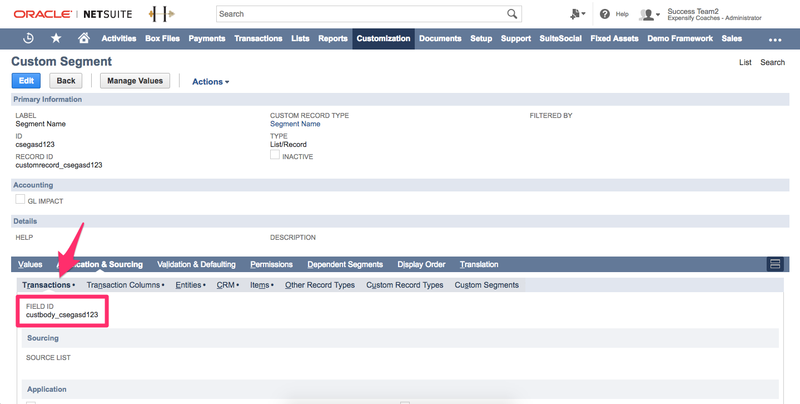 To find the list of custom segments click customization > Lists, Records, & Fields > Custom Segments. To find the Internal ID first make sure you have internal IDs enabled by going to Home > Set Preferences. 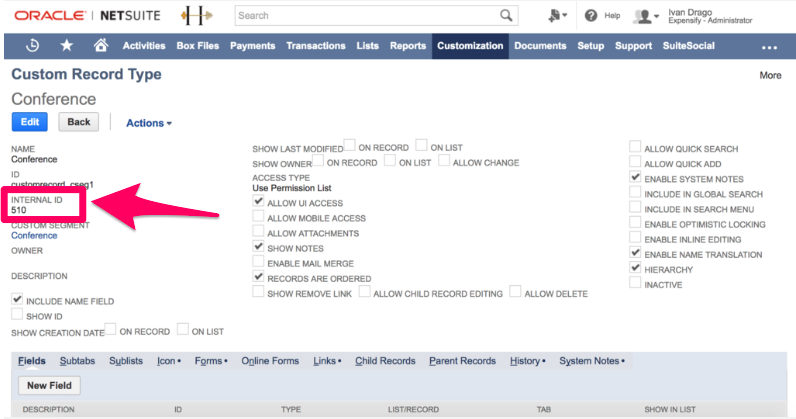 Next, back in the custom segment, click the Custom Record Type hyperlink. This field depends on your mapping selection in Expensify. You will need to go to the custom segment screen and click on the Application & Sourcing tab. 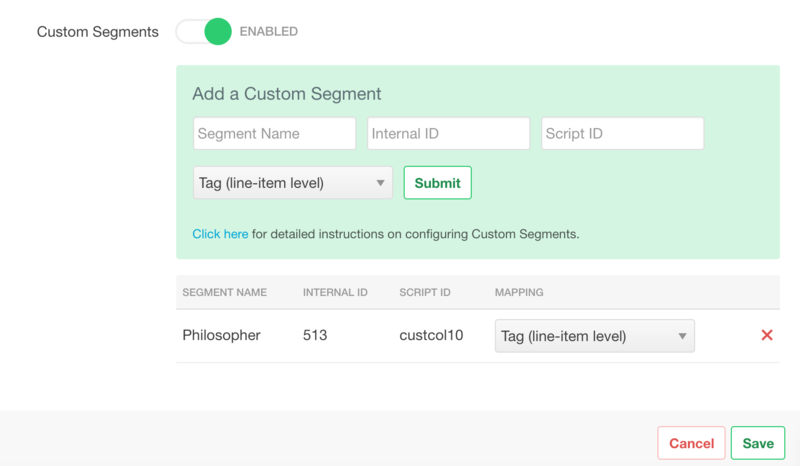 Once you've located this information in NetSuite, you'll enter it in your policy configuration and select either tags or report fields to map the custom segment to. You'll now see the values for your custom segment available under tags or report fields in Expensify. Note: We do recommend that you don't use the "Filtered by" feature on your custom segments. We don't have the ability to make these dependent on other fields. If you do have a filter selected, we suggest switching that filter to "Subsidiary" and enabling all subsidiaries to make sure you don't receive any errors upon export. 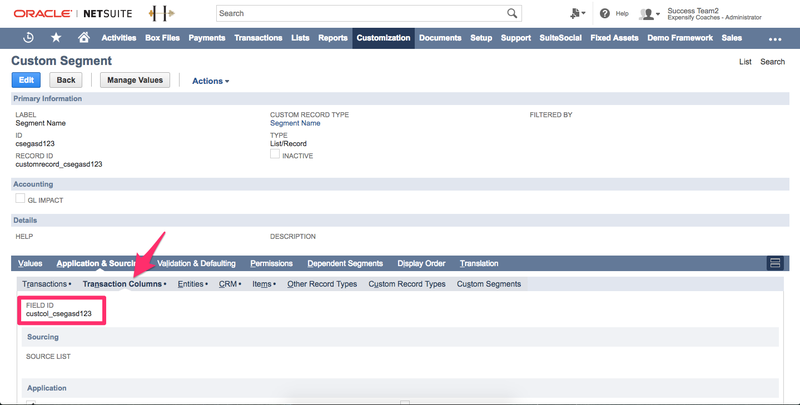 Custom records can be added through the custom segments feature. Place all of the information into the custom segments UI. There are three things you will need to import your custom lists. The ID of the Transaction Line Field that holds the record. Decide if you want to import as tags or report fields. The name of the record will be populated in a dropdown list. If you don't see the one you are looking for, click 'Refresh Custom List Options'. 3. Just select tag or report field, click 'Submit', and save your configuration.